Special rate expiring soon. Sign up now! Poker training for your pocket. In the car or at the gym, we’re always with you, improving your game. And now, upgrading has never been easier. Through May 31st, subscribe to Stack Em Coaching for just $19.95 per month (Reg $29.95 per month). Save 33 percent off the regular price! The best part? Once you subscribe, your monthly subscription price will never increase. This promotion will run for a limited time only, so act fast! All you have to do is log in and click here. We’ve made many exciting changes at Stack Em over the first year, and we have many more in store. Online or live, NL or mix, we have what you need to start stacking the competition. Pokerati contributor Scarlet Robinson talks Internet gaming news today at 12pm ET on the Casino Entertainment Magazine podcast. We recorded our first Wicked Chops Podcast yesterday with some friends from across the pond–Ben Fried, who launched Betfair’s poker room–and Kim Lund, who did the same for Poker Room. While some of the content is already dated (a lot of it is speculation about Tilt’s future in light of the AGCC license revocation), still some interesting European perspective on the Tilt situation and their international market perception. Listen, and read more here. The Final Table Poker Radio Show crew got kicked out of the poker room this week due to the start of the WSOP Circuit events in St. Louis. After discussing the recent happenings at the circuit event Dennis and Paul are joined by Pat Walsh who discusses his recent win at the Big Event Shootout. Mori Eskandami closes out the show discussing production of TV poker shows along with the host change for High Stakes Poker. You listen to the entire show or catch up on previous show by either visiting The Final Table site or on iTunes. 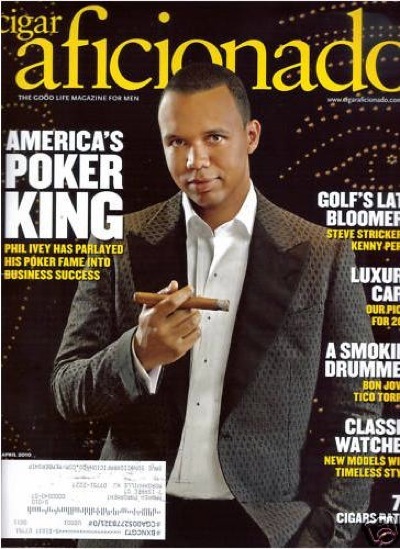 This week’s show starts off with the guys talking about what they think Phil Ivey’s new site will be about and wether Ivey can teach the average Joe how to be like him. The show then moves on to a discussion about chopping tournaments before Jess Welman, who most will know from the two time award winning Poker Beat, joins the show. Welman discusses her recent second place finish at the Hollywood Poker Open and how she was one of the lone players that did not want to do a chop when the players were down to 18 players. After telling the stories of the names she was called because she did not want to chop Welman moves on to discuss recent poker news to close out the show. If you would like to listen to the show you can either download it via iTunes along with catching future shows every Monday from 8-9pm EST on Sirius Satellite Radio channel 98. Coming out with a April Fools Day show this week the APCW crew come together discusses some new happenings at eCOGRA before moving on to discuss the deal between PokerStars and Wynn. Our friends on the Rabbit Hunt podcast jump right into the middle of the Joe Sebok drama this week. The guys break down and criticize both sides of the drama, breaking down what both sides of did wrong. They also discuss why Paul Leggett will probably never agree to come to 2+2 to answer questions from the forum readers and how much work the moderators have had to do over the past few days. Take a listen to the show on either the Cardrunners site or download it directly from iTunes to listen to this interview. Making its first appearance in the roundup The Bernard Lee Poker Show welcomes mindset coach Sam Chauhan to their show. Chauhan speaks about being in the positive mindset in order to be successful. He also discusses about how he got started in the poker community with a short discussion that he had with Antonio Esfandiari in a restroom at the Rio. To close out the show the two discuss some of the tools that Chauhan uses with his students to keep them in the right mindset. If you would like to listen to this show you can either download it from Bernard’s site, listen to it directly on on Rounders Radio, or through iTunes. OK, this is not a podcast but it was brought to our attention this week from our good friend Dr. Pauly from Tao of Poker. If you have ever wondered what it is like to be in the head of a Supernova Elite you definitely should check out this short documentary that was done on Randy “Nononoko” Lew. 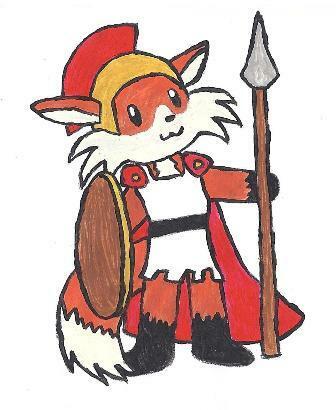 Also check out the brief blog that gives an introduction to the film. Alright everyone, I usually give you all three podcast to listen to, but since one of the shows has a run time of four plus hours we will only be bringing you two shows. This week we are bringing you some of the newest information from the Ultimate Bet scandal. Our friends over at the Rabbit Hunt started off this weeks show with some news but the part we are all interested in starts at the 16:00 mark. The guys got mookman5, who is a wealth of information when it comes to the Ultimate Bet scandal, to come on the show and discuss the latest Travis Makar bomb that was dropped the week before. They discuss reasons why Makar would be coming out at this point and speculate on this lawsuit that he made mention to throughout the interview. Take a listen to the show on either the Cardrunners site or download it directly from iTunes to listen to this interview. I usually do not repeat shows in back to back weeks, but these guys are at the center of the poker podcast world this week and have came back from last weeks bombshell of a show with a followup show that has a run time of over four hours. Do not be worried though, we will tell you where to skip ahead to so that you can save some time. 22:30 – Bryan Micon starts to discuss his meeting with Travis Makar, where he discusses some of the documents that he saw during the meeting. 45:10 – Brad Booth joins the show to discuss being cheated by the super-user accounts. 1:20:00 – Micon starts to break down the Addressing a Few Rumors on the UB Blog. 1:41:00 – Haley Hintze joins the show to discuss who may have actually made the payments to Zoltan “Brainwashdodo” Rozsa. 2:35:35 – Travis Makar calls into the show to ask Booth some questions, the first of which is how does he know that Russ Hamilton actually cheated him. 2:48:00 – Booth ask Makar what it is that he is truly looking for from bringing this information public. 3:19:36 – Dustin Woolf joins the show to discuss how he was cheated. You can listen to the show at the DonkDown site or subscribe and download it via iTunes. Finally, keep an eye out for a new episode of The Micros tonight, as it was posted on their Facebook earlier today that a new episode should be up tonight at around 9PM PT or 12AM ET. Host Amy Zupko and Jennifer Shahade are joined by Donna Houle to start off this weeks show. Donna is one of the founders of the Pink Ladies Poker Tour. They then move on to discuss the Womenâ€™s Poker League on PokerStars before briefly discussing the PCA womenâ€™s event. If you want to keep up with some women in poker or ladies only events then check this podcast out. 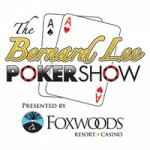 You can listen to the show on WomanPokerPlayer.com or download it directly on iTunes to listen on your iPod later. With no This Week In Poker this week the entities come together for a TWIP style podcast this week. Just like with TWIP Jess Welman comes on to do “Poker Headlines” before getting into the feature of the show. That feature this week is Erik Siedel who comes on to discuss his recent success, his appearance on “The Micros”, and Rounders 2. Listen to the show on the Wicked Chops site or download it on iTunes. Eric Siedel is making his rounds this week joining Phil Gordon on The Poker Edge. Before Siedel makes his appearance Andrew Feldman gives this weeks headlines, he is followed by Matt Savage who comes on to discuss the LA Poker Classic and the future of poker. Siedel comes on to close out the show to discuss the high roller cashes that he has enjoyed since the first of the year. The guys finish off the show by handicapping most of the top players chances at winning a WSOP bracelet in 2011. You can listen to the entire podcast on ESPN.com, or download it directly via iTunes. We recorded a special Super Bowl-themed episode of Tao of Pokerati. Before you bet on the Big Game, make sure you listen to the fastest podcast on the internet! 2011 Super Bowl: Exotic Betting on the Super Bowl with Change100 (4:19) – Pauly and Change100 chat about “exotic” proposition wagering for this year’s Super Bowl. And if you’re looking for some easy money, then you’re in luck because Change100 also shares a tip on how long it will take Christina Aguilera to sing the national anthem. For more episodes, visit the Tao of Pokerati archives. Subscribe to the Tao of Pokerati podcast in iTunes so that you don’t miss an episode. Sorry this is a bit late today, but a combination of the WPT Southern Poker Championship not finishing until 3:30am, a 6th or 7th trip to Waffle House, and a six hour drive today I just now found time to get things together. Hopefully this trip will not suffer the same fate as the last one when SNOmageddon hit the south. Jack McAdoo reviews the biggest winners and losers in the high stakes cash games for 2010 in this 30 minute podcast. He does not come across with tons of energy but if you are looking for a good podcast to listen to and get some info that may not be covered by the mainstream podcast then this might be one for you. He closes out this show with a discussion on state of gambling in Florida. 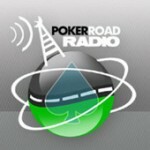 You can listen to the show on the Poker Pod Radio site or download it directly from iTunes. The multiple entry tournaments on Full Tilt are a big part of the discussion this week by Rob and Chris. The multi entry tournaments are compared to rebuy tournaments and how this new addition can change a way you have to play against a player without the player on that table actually earning those chips. To close out the show Phil Helmuth comes on to discuss his future endeavors and how tweeting too much has caused issues during his new sponsorship hunt. Listen to the show weekly on Sirius Satellite Radio channel 98 every Wednesday from 8-9pm ET or you can download it via iTunes. What is better than a little talk on poker and some non-poker TV. The guys from Wicked Chops come this week and discuss their thoughts on the ESPN coverage from the PCA main event. They are joined by WPT Live Updates team member Jeff “slim” Holsey. The discussion turns into wether the new show “The Walking Dead” is the best first season of a show ever. Once the two sides hash out their arguments they turn their attention to the new season of American Idol. This podcast has it all and does not give you an overload of a certain topic. Listen to the show on the Wicked Chops site or download it on iTunes. Rabbit Hunt is back and its an all-news podcast this week. Spartanfox and Tyresias discuss Russ Hamilton’s blowup in Florida, the $100k Challenge at the Aussie Million, Annie Duke and Jeffrey Pollack’s new poker tour, and more! Change100 wins Ladies PCA Event. Pauly chats with Change100, the newly crowned Ladies Champion at the 2011 PCA. She explained how she threw out her back and while nursing herself back to health, she parlayed a tiny investment into a satellite seat into the Ladies Event. Upon her arrival in the Bahamas, she advanced to Day 2 and the final table before she eventually secured a victory.